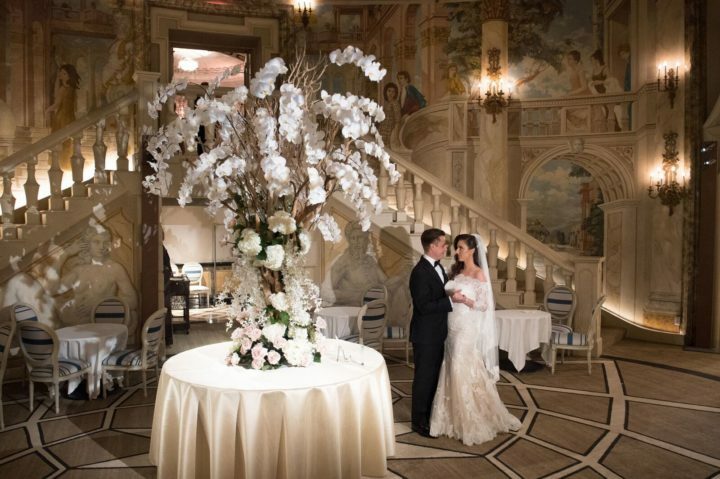 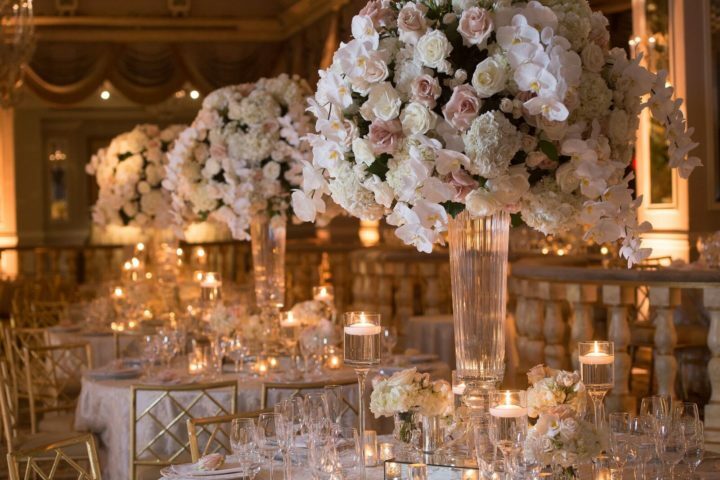 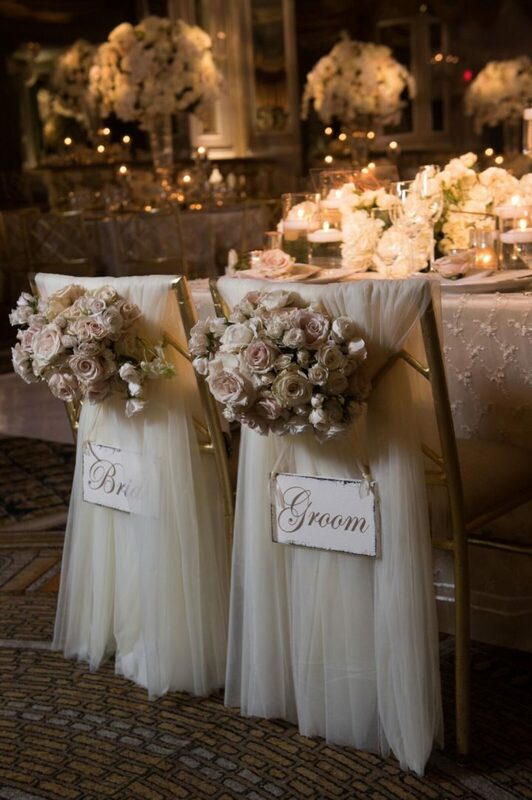 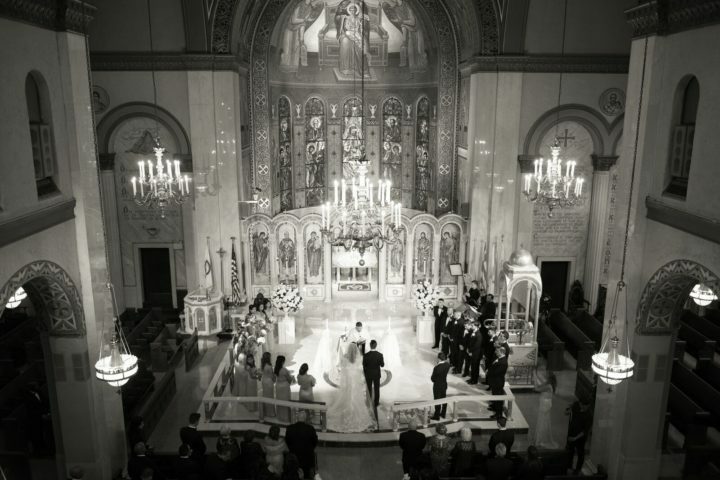 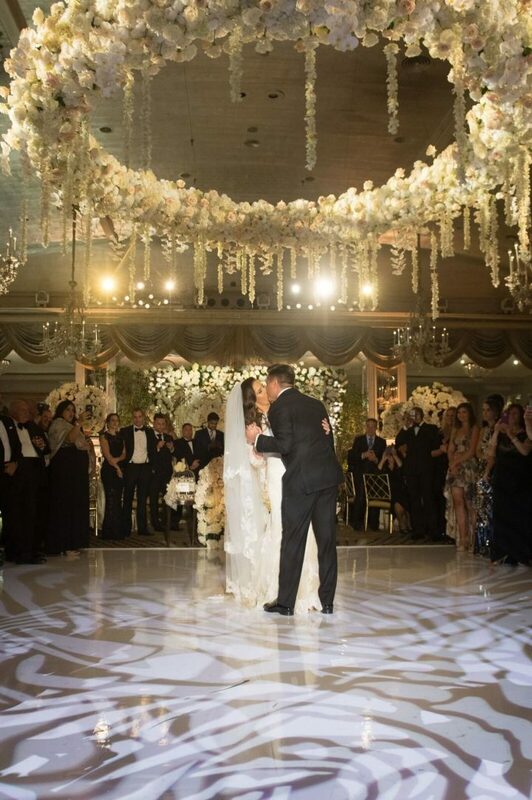 Everything about this classic New York wedding is down right glamorous! 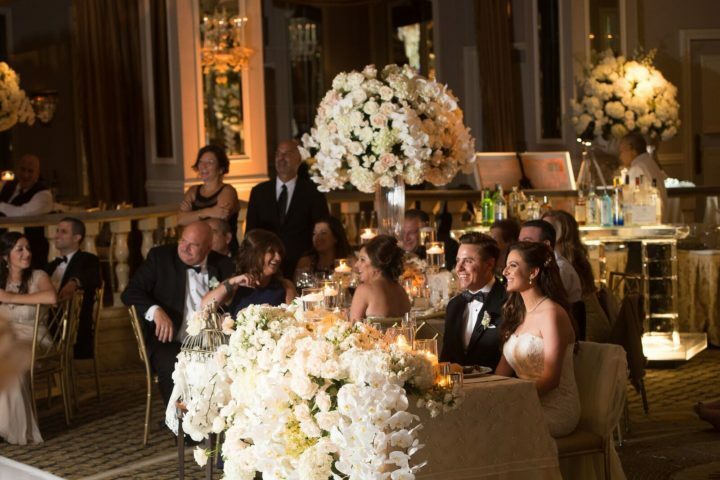 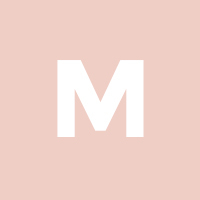 Shot by Brett Matthews Photography and planned by Everything Fabulous For Your Events, this big city celebration features a beautiful combination of traditional and modern wedding elements. 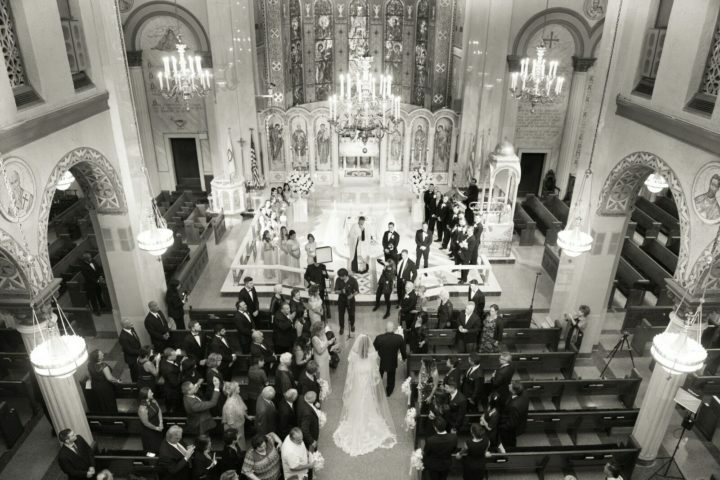 Starting with attire, the bride is stunning in a luxurious Pronovias gown while the groom looks dapper in a black and white suit with a bowtie, which is the perfect style for a formal church ceremony. 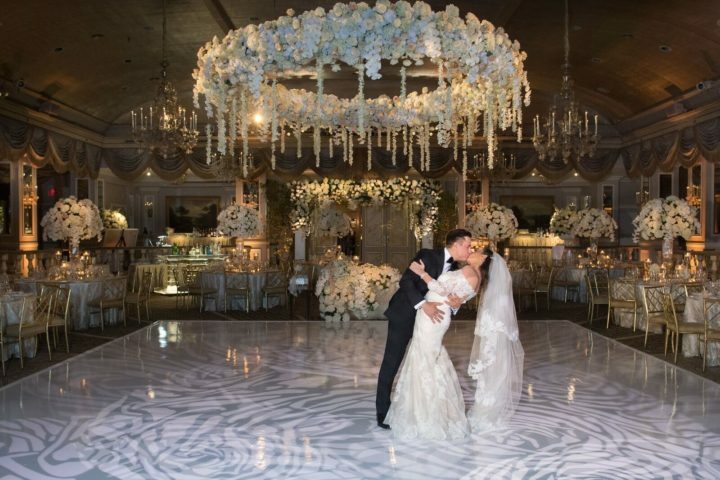 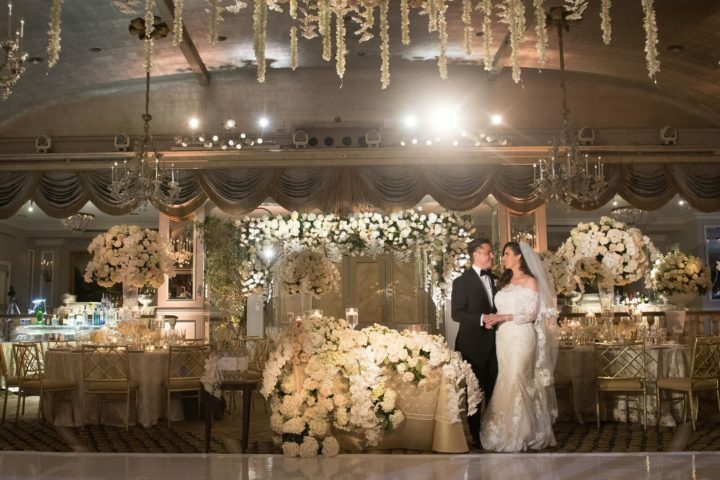 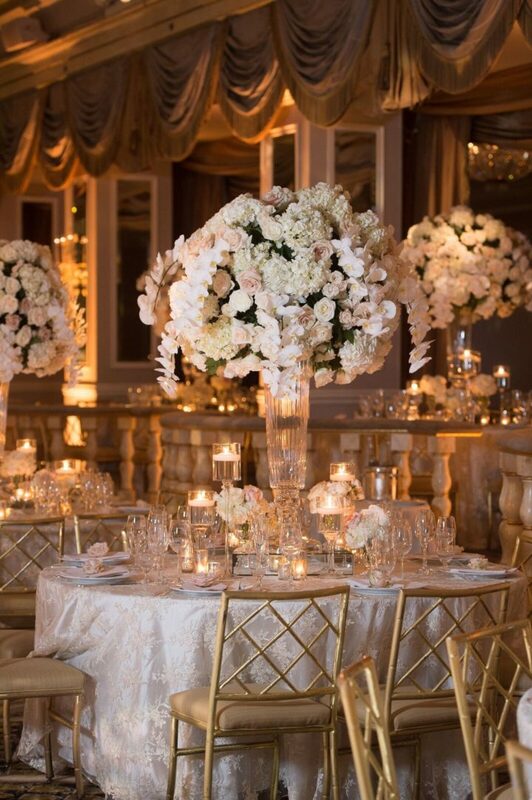 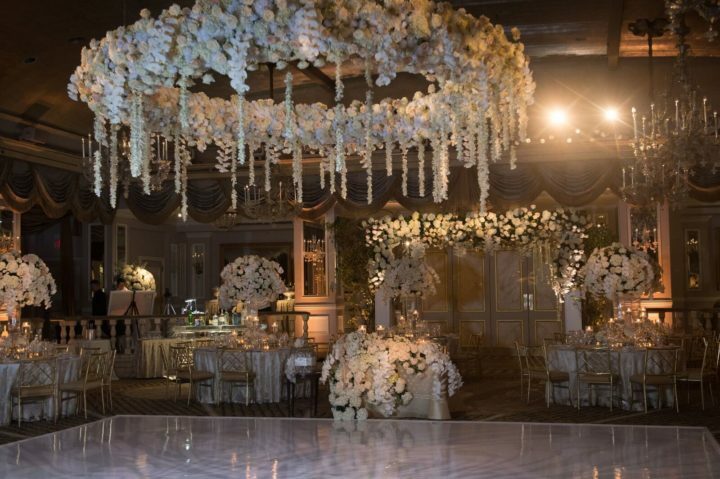 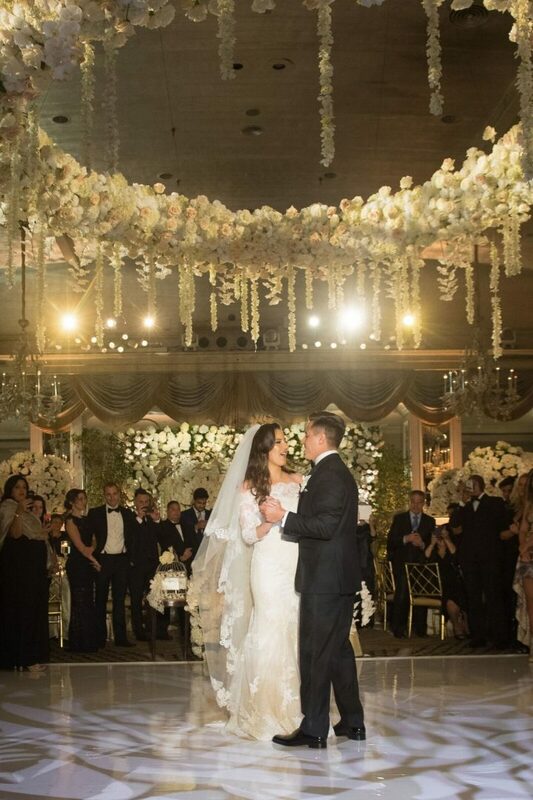 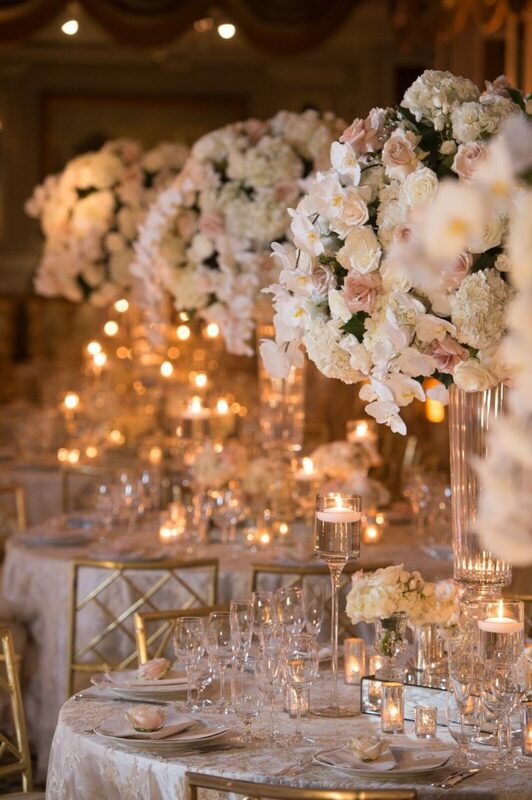 We’re completely blown away by the tremendous reception details like the tall lush floral centerpieces atop gorgeous glass vases, the hanging circular white flower piece, and the sophisticated gold ballroom chairs. 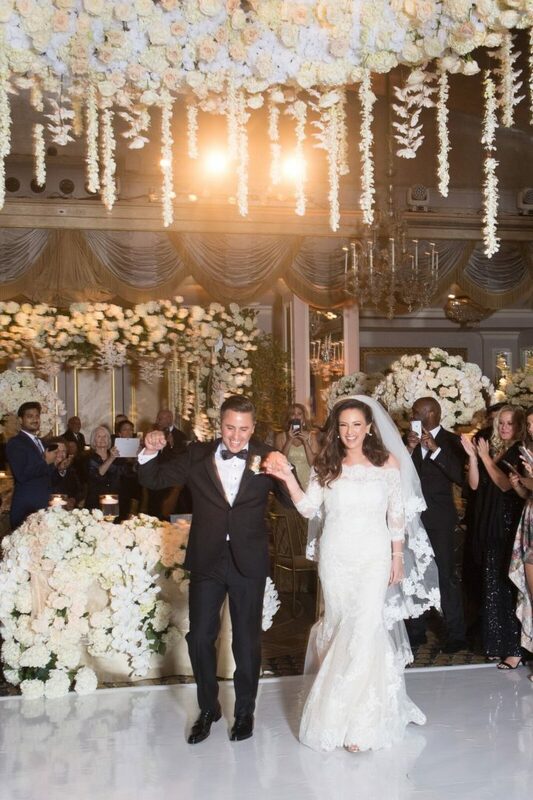 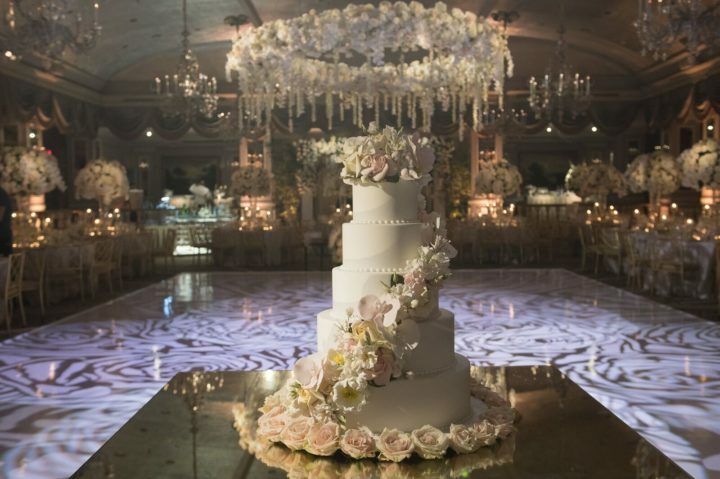 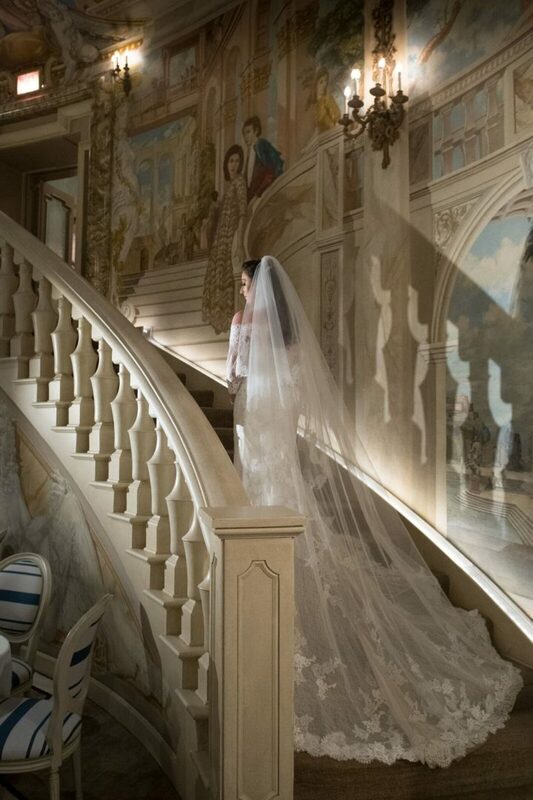 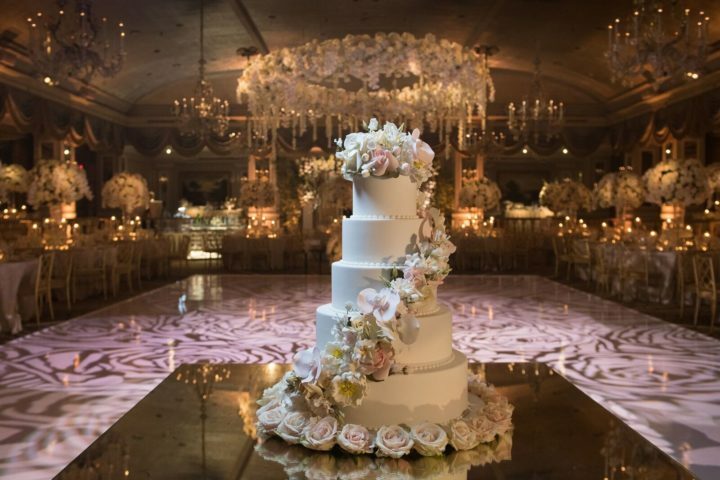 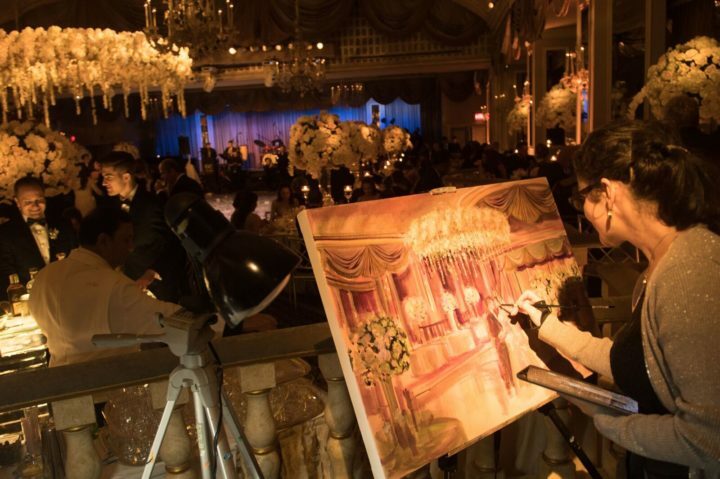 Complete with a five-tier, flower-wrapped wedding cake and a live painter at the reception, this glamorous New York wedding is not one to miss!